Partnering with the community to help St. Rose! 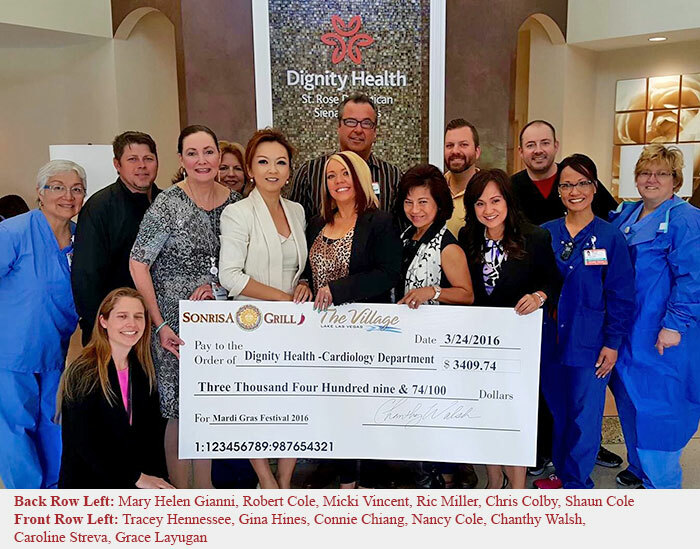 The St. Rose Dominican Health Foundation was presented a check for $3,409.74 from the Mardi Gras Celebration held at Lake Las Vegas in February 2016. The organizer selected St. Rose Dominican’s cardiovascular programs to receive the proceeds from this annual event because they wanted to support our lifesaving mission in the community. We also wanted to extend our sincere gratitude to the 30 St. Rose employees who graciously volunteered to support this successful event – we could not do it without you!